Editor’s Note: This is the 4th in an occasional series of articles about various types of working dogs in the United States. Previously, we spotlighted bomb-sniffing dogs, guide dogs and service dogs for children with autism. 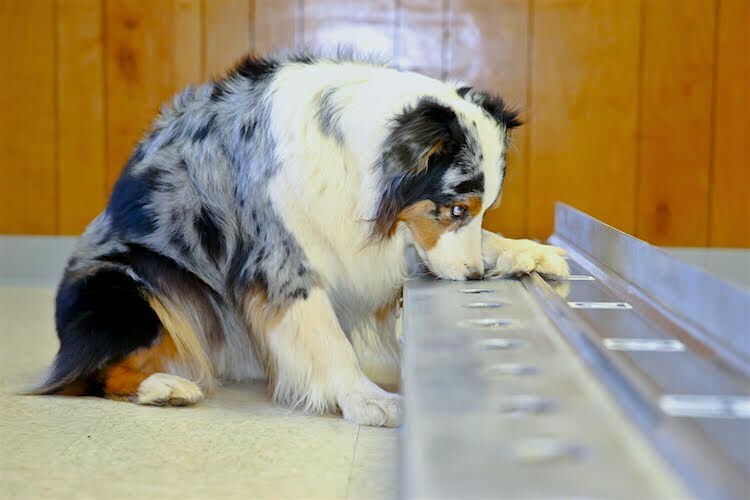 Today, we highlight dogs who can detect cancer. Dogs have amazing noses. Their sense of smell is up to 100,000 times greater than human ability. 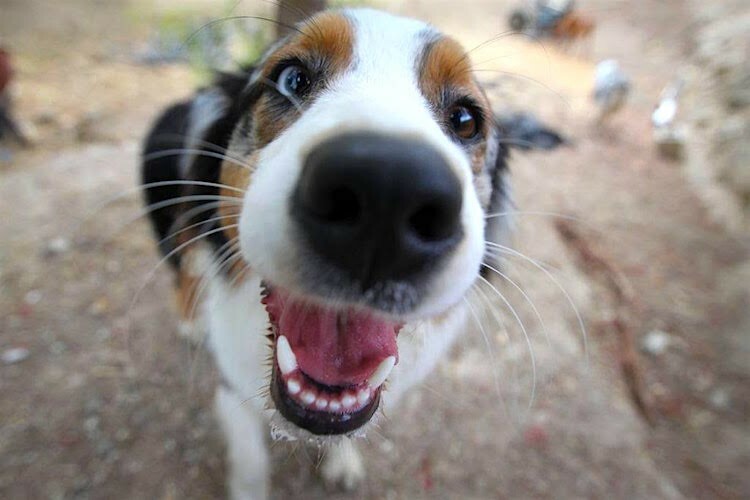 To our puny 5 million scent receptors in the nose, dogs have 300 million. Dogs have around 40 percent more of their brain devoted to the sense of smell than humans do. In other words, dogs are super smellers. Dogs can sniff out drugs and bombs in suitcases, packages and under cars. Search and rescue dogs can follow the footsteps of a missing hiker, even though dozens of people may have passed more recently. Dogs can find survivors in earthquakes and bodies at the bottom of a lake. Maybe you’ve heard some of the stories circulating about dogs saving their humans’ lives by sniffing and pawing at a spot on their body that turned out to be cancer. Scientists have been paying attention — and so have dog trainers. 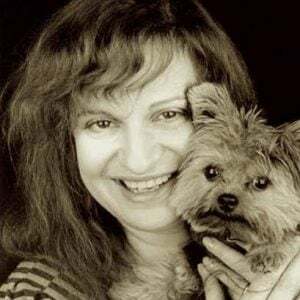 Dina Zaphiris, dog trainer and handler, is at the forefront of this research. She founded In Situ Foundation, dedicated to training dogs to detect early-stage cancer by sniffing it out. “The nose is a dog’s primary sense,” says Zaphiris. Their whole world is based on smell. As humans, our primary sense is vision. If we look out a window, we can see thousands of things. There are trees, grass, chain-link fences, streetlamps. If a dog were standing at that window, he could actually smell all those things. Zaphiris started out as a dog trainer. Before she got into scent detection, she trained movie stars’ dogs in Los Angeles. Rudd Weatherwax, the original Lassie trainer, trained her mentor, Richard Vie. “So I come from a line of movie trainers,” she says. She moved on to missing persons, bomb and narcotics detection dogs. In 2003, a group of scientists asked if Zaphiris wanted to train dogs to smell cancer. “If you give me the substance, I can do that,” she said. She was intrigued. Surprisingly, the samples turned out to be exhaled breath collected in tubes and frozen. She explains: “We don’t train on tissue or tumors” — the goal is to catch the cancer as early as possible, before there’s a detectable tumor. 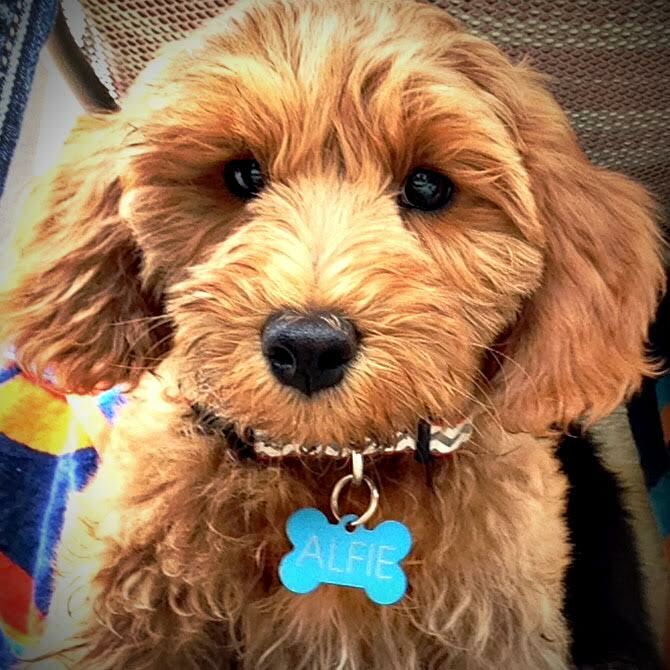 Alphie, a Labradoodle, is part of a year-long study at the University of California, Davis. The dogs were trained on hundreds of samples from cancer patients versus hundreds of samples from healthy patients. They were able to pick the cancer samples from the healthy samples, says Zaphiris, because cancer is metabolized in the body very differently. And dogs can smell that difference. Zaphiris trained the team of 5 dogs to detect early-stage lung and breast cancer in exhaled breath. The study was published in a medical journal, which sparked global interest and numerous replication studies. Zaphiris became a pioneer in the emerging field of cancer-detecting dogs. She looks for dogs with a strong play drive. “If they love the ball and played a few hiding games with me, they may make the team,” Zaphiris says. For several studies, she used local dogs from the community. People would drop them off in the morning and pick them up at the end of the day. The dogs loved it. “That model becomes a very politically green and correct model for how a detection facility can run. People can get certified with their own dogs,” she says. The PSA test for prostate cancer gives up to 85 percent false positives. That means 85 out of 100 men with elevated PSA levels are told they have cancer when they actually don’t. The problem with cancer testing is that there is no specific blood test for cancer, or else we would all get one every year. There are signs in the blood that may indicate cancer, such as a CA 125 (a protein called cancer antigen), but there are also thousands of other reasons for an elevated reading. By the time you have a tumor large enough for a biopsy, you already have cancer. In 2003, In Situ collaborated with scientists on a lung and breast cancer study and, in 2012, an ovarian cancer study on exhaled breath samples. In all cases, “the dogs were very, very accurate,” says Zaphiris. The dogs are now being trained to detect specific types of cancer rather than just alerting for all cancers. The current study is funded by the Department of Otolaryngology at UC Davis, which is the head, neck and throat center at the medical school. Dr. Hilary A. Brodie and Dr. Peter Belafsky are interested in training dogs to detect upper thoracic cancer in saliva. With UC Davis as a partner, In Situ has proposed a Center of Canine Excellence dedicated to ongoing research, protocol development and training of cancer-detecting dogs and their handlers. The American Cancer Society predicts that this year, there will be nearly 1.7 million new cancer cases diagnosed and 600,000 cancer deaths in the United States. Maybe dogs can change that number. Maybe they can save our lives.